Date: Feb 15 2019, 9 p.m. - 11 p.m.
Are you looking for a good time or something to do on a Friday Night? 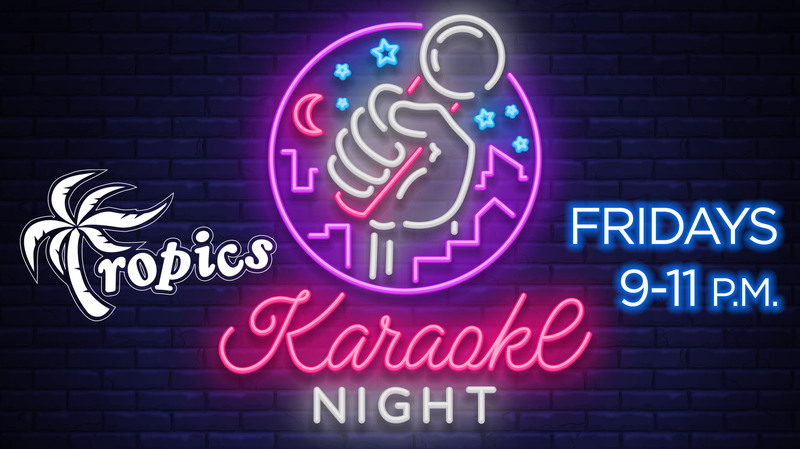 Join us at Tropics Recreation Center Friday Nights from 9:00 pm - 11:00 pm! The stage is yours! Pick a song from our list of available songs and come sing your heart out. Times and dates are based on availability and are subject to change due to special events.